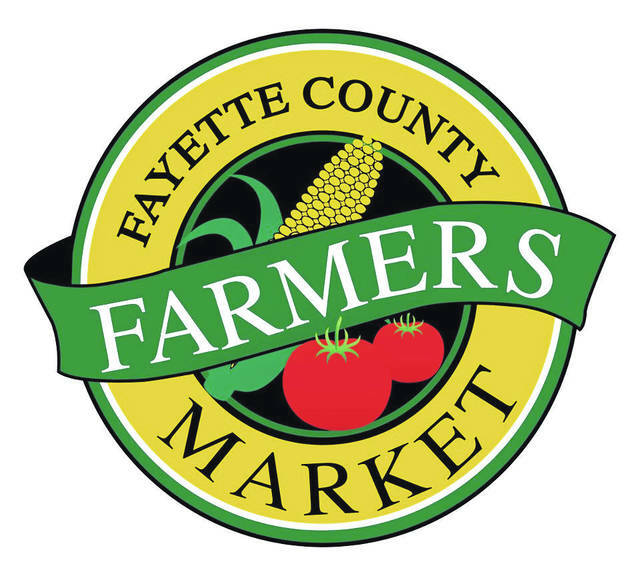 With Independence Day occurring mid-week, Fayette County Farmers’ Market visitors can enjoy the benefits of “holiday” style fun this weekend as well. Shop for fabulous baked goods, body care products, wood crafts both decorative and functional, household items, plants, frozen meats, and produce (including sweet corn). There are usually two special activities for children – one midway down the row of vendors and one at the information booth. And this week the Creamers will host the Pop-Up Art Gallery to promote the Art on the Square scheduled for later this summer. Visitors will be able to access information, entry forms and participate in an interactive activity. Panels done at last year’s AOTSQ (Art on the Square) will be on display. Market hours are included with each week’s article, but it should be pointed out, especially with sweet corn season upon us, the market begins at 8:30 a.m. and sales may only be made 15 minutes before the market officially opens (that means 8:15). Market organizers love volunteers and help with setting up tents and products, and often accept the help of early arrivals. All first responders (police, EMTs and firefighters), teachers, medical providers and Farm Bureau members may pick up $5 coupons during the first two market weeks of each month. These coupons may be used to make farm market purchases anytime during the season. Your Other Mother’s Kitchen (Don & Sara Creamer): Don and Sara will not have baked goods this week, but stop by for Art on the Square information. B.Y.E. Gardens (Brian and Elaine Yoder): Tomatoes, onions, cucumbers, zucchini, yellow squash, sunflowers, baked goods. Chilcote Farm (Bruce & Marlene Chilcote): Honey, caramels, butter pecan cake, brown sugar Texas sheet cake, apple and fresh peach pie, cookies and brownies. Donaldson Wood Shop (Roger Donaldson): Live edge cutting boards, spoons, and assorted wood items. Greens & Greenery (Katrina Bush): Beeswax body care products. Baklava with honey syrup. Seasonal produce: cucumbers, garlic, green beans, kale. Egyptian walking onion starts. Flowering perennials (echinacea, blanket flower, bee balm, milkweed) and other plants. Jones Farm Fresh Produce (Jon & Taylor Jones): Sweet corn, peaches, green beans, red potatoes, candy onions, cucumbers, zucchini, yellow squash, bell peppers, tomatoes, beets, chicken patties, wings, chicken breast, whole chickens, chorizo brats, pork chops, sweet Italian and jalapeño brats, bulk sausage, sausage patties, ground pork, hamburger patties, ground hamburger and brown eggs. King Farms (Jeff & Sandi King): Green beans, new potatoes, zucchini, yellow squash, green peppers, hot and mild banana peppers, hot and mild jalapeño peppers, regular and pickling cucumbers, broccoli, cauliflower, cabbage, beets. Baked goods including pies, cookies, breads. Persinger Cottage Foods (David Persinger and Julie Mosny): The Pie Lady will have honey and pies: blackberry, cherry, black raspberry, strawberry, rhubarb and strawberry rhubarb; also cinni mini’s, oatmeal raisin cookies. The Jam Man will have jams, jellies, peach butter. The Wolf’s Den (Shawn and Tracy King): Recycled wood garden decor and various jams, jellies, and fruit butters, including new flavors.